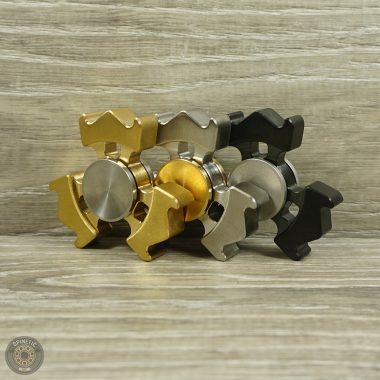 I'll be honest, I like every spinner I've bought from Spinetic, so a 5-star rating doesn't seem that special. 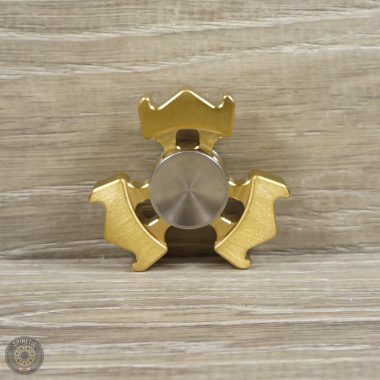 But this Revpunx spinner stands out. It somehow satisfies my combined need for a high-mass long spin, for a one-handed flickable spin that doesn't feel sluggish, and just a pleasing long-armed shape where just-enough mass on just-long-enough arms to give me the momentum fix. Slightly larger comfortable button, tall enough that I don't bump the arms by accident. Really smooth spins *or* a pleasant brassy bell sound depending on what bearing I install. I was a little scared that the shape might be too over-the-top, but in person "slightly over the top" done in high quality metal with a nice finish looks great and feels really comfortable. What I'm saying is that I really *really* like this spinner. A lot.